INDE – Bhairavakonda - Remnants of a Buddhist monastery, dating back to pre-Sathavahana (Mauryan) period exist at Vaikuntapuram in Guntur district and the place popularly known as Bhairavakonda will soon become a protected monument if the proposals of State Museums and Archaeology Assistant Director K. Chitti Babu are accepted. “There are indications that Vaikuntapuram village was once a flourishing pilgrimage and trading centre,” he told The Hindu. He said that the hillock in Thulluru mandal situated about 40 k.m. away from here and 10 k.m. from Amaravathi was of historical significance with a Vaishnava cave temple dedicated to Lord Venkateswara. “During our exploration, the team noticed a defaced Buddha statue in a sitting posture in Gyana Mudra. We also noticed several rock-beds probably meant for the monks to rest. 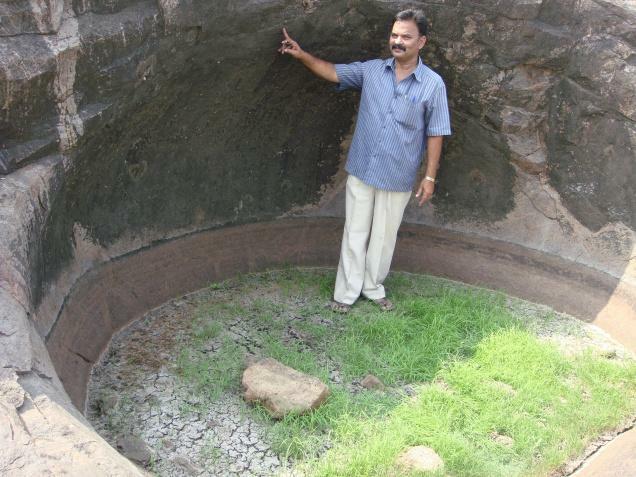 These are the indications that a rock-cut cave of Buddhists existed,” Mr. Babu said. He said that while entering from the southern side of the hillock, the team noticed pot shreds (pottery fragment), and inscriptions that the present cave temple was built during the Raja Vasireddy Venkatadri Naidu regime. The mandapa was built later and the cave roof was plastered by using pebbles and lime mortar. There is epigraphical evidence too which is in Telugu and Kannada script, he explained. Two caves, one closed and the other covered with sand with pottery in black and red, was found in front of them.“On the eastern side, two water chambers, meant to save water, were unearthed. They were probably meant to store rainwater,” he added. A mound, a grinding stone, roof tiles, stupa slabs, half-moon shaped stone (a symbol of Buddhism) and two cairn circles were found indicating the existence of a megalith. “The identification of pebbles and hewn stones in a circular form was reason to believe that a megalith existed here. However, there is no fool-proof evidence,” Mr. Babu explained. The area in Munjuluru village in Krishna district where Buddhist remnants were unearthed in 2011 was declared a protected monument by the State Government and efforts were on to appoint a guard and provide fencing, Mr. Babu said. INDE - Thuckalay - The ancient Padmanabhapuram Palace at Thuckalay in Tamil Nadu, 60 km from here, is the cornerstone of the tumultuous history of erstwhile Travancore. Kings, queens and chieftains have sauntered along its long and dark corridors. Warlords have assembled armies in its expansive courtyards. Swordsmen and archers have stood guard within its walls. Cavalry men have patrolled its perimeter. The palace has seen high political intrigue and blood-spattered dynastic wars between rival branches of the royal house of Travancore. It has witnessed the fall and ascendancy of one of Travancore’s mightiest kings, Anizham Tirunal Marthanda Varma, in the 18th century. The State Archaeology Department has now embarked upon an ambitious scheme to restore the palace, first built in the 16th century, to its original glory. The scientific conservation project is currently focussed on restoring the Navarathri Mandapam and Saraswathy Temple, the oldest and the only wing of the palace that has been crafted out of hard stone. The structures have 63 finely carved stone pillars, around a ‘shining dance’ floor. C.S. Ajith, conservator, says the floor was fashioned out of an ancient mix of charcoal, egg white, lime, river sand, tender coconut water and jaggery, which is hard to recreate now. TURQUIE – Bergama - The four temples of Bergama ancient city, Zeus, Athena Altar, Red Yard and Asklepion will be transformed into a 3D platform and visitors will have a chance to see these ancient venues via their tablets and phones. The project, which was a part of the “History comes alive in 3d” has been launched with the support of Bergama Municipality and Bilkom. The project is being launched for the first time in Turkey. Bergama was a small settlement during the Archaic Period. Lysimachos, one of the generals of Alexander the Great and who had become the sovereign of Anatolia after 301 BC, delivered the war expenditures, at the amount of 9000 talents (1 talent is believed to be $7,500 approximately), to Philetarios who was the commander of Pergamon, and the kingdom founded by Philetarios by using this sum of money following Lysimachos’s death, flourished and became the most eminent center of culture of the Hellenistic period for 150 years. Eumenes I, Attalos I and Eumenes II were enthroned successively after Philetarios. Eumenes II took acropolis of Athens as an example and had the acropolis of Pergamon adorned with works of art which reflected fine taste, and Pergamon became one of the most graceful cities of the world. Attalos III, who succeeded Attalos II, handed over his land to the Romans when he died in 133 BC. The famous Altar of Zeus in Pergamon is on the south of the theater. Eumenes II (197-159 BC) constructed it as a memorial of the victory against the Galatians. This Altar has the shape of a horseshoe and its dimensions are 36.44 by 34.20 meters. It is composed of four parts and the high reliefs on it describe the war between the giants and the gods. ROYAUME UNI - Sark - The discovery of spindle whorls and amber beads in Sark (Guernsey) reveals a Bronze Age population engaged in Atlantic trade and small-scale industry. Sir Barry Cunliffe, the lead archaeologist, said this showed sheep had been reared on Sark for thousands of years. 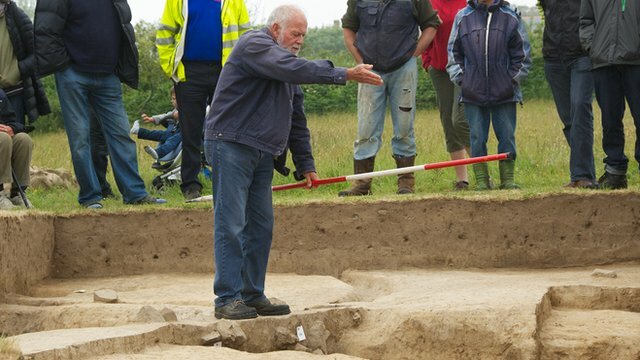 Excavations of an ancient settlement near the Sark Mill revealed a "surprising number" of the weights, used for working wool. 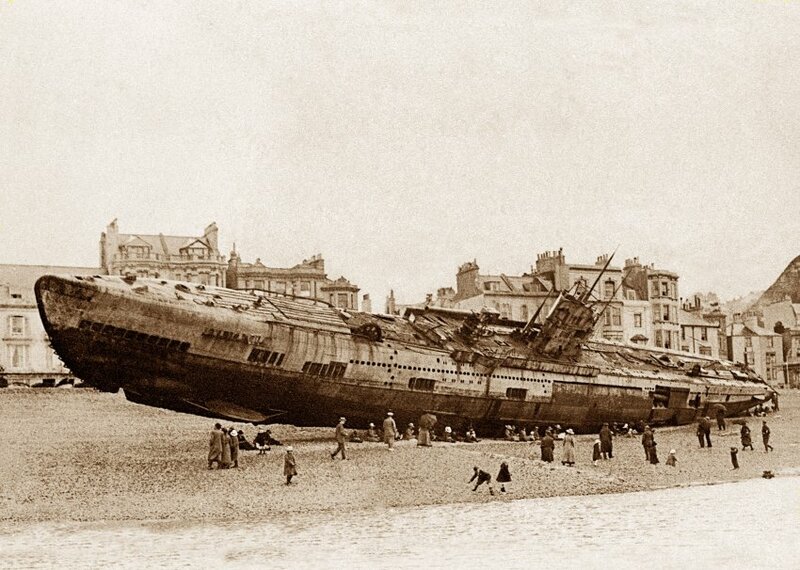 ROYAUME UNI - - On the seafloor along the southern and eastern coasts of the UK, Dunkley and three other divers have found one of the largest graveyards in the world's oceans, with 41 German and three English submarines from World War I. Most of the submarines sank with their crews still on board, causing many sailors to die in horrific ways, either by drowning or suffocating in the cramped and airtight submarines. Several U-boats with the German Imperial Navy are still considered missing today. Lists provide precise details on which of the U-boats the German naval forces had lost by the time the war ended in November 1918. But it was completely unclear what had happened, for example, to UB 17, a subway crewed by 21 men under the command of naval Lieutenant Albert Branscheid. Neither was it clear where the 27-member crew of UC 21 -- a minelayer commanded by naval Lieutenant Werner von Zerboni di Sposetti -- had perished. Dunkley and his team of divers found UB 17 off England's east coast, near the county of Suffolk. UC 21 sank nearby. The fate of many other submarines, especially those that had suddenly disappeared in the last two years of the war, can now be considered known.